Infographic: Can Small business owners make it big with Instagram? Small business owners have a lot on their plate. Sometimes more than they can handle. Low budget, lack of resources, and sometimes inability to access new technology are just some of the everyday struggles they go through. However, the potential of social media is boundless and even small business owners can harness its power for their advantage. One such platform is Instagram. Popular for its image-based features, Instagram is also an excellent place to connect with consumers and show-off your products and services. Boasting more than one billion accounts in which 500 million are active daily – Instagram is a great place for small business owners to advertise and grow their list of followers. Unluckily, Instagram shifted some algorithms this year after which 70% of posts are not seen or chronological. Nevertheless, the platform has a lot of potentials and if applied correctly – the small business owners can benefit greatly. Creating an account with Instagram is easy. Simply download the app on your mobile from the relevant play store and create an account with your email address. Don’t forget to switch to a business account for enhanced engagement. 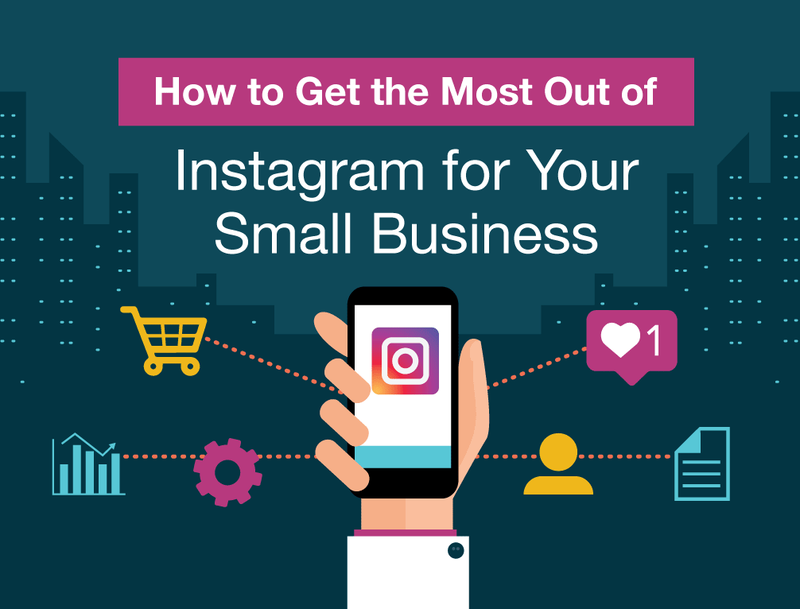 Check out the infographic below for more information on how you can make your small business a hit on Instagram. Read Next: Small Business Growth Hacking - A Guide to Instagram Ads (infographic).